Hi everybody! 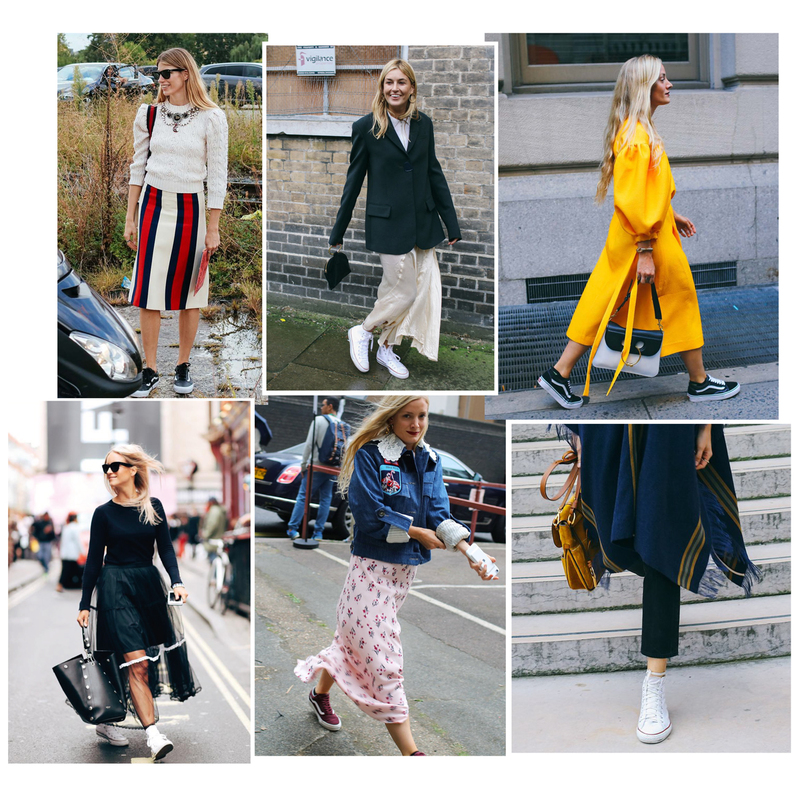 One of my habits during fashion week is clicking through all the street style images to check out the newest trends and get some inspiration. One of the things I’ve noticed was that the Stan Smith’s got replaced by the white high All Stars and the Vans ‘Old Skool’ sneakers during fashion week. I’ve already ordered both pairs and I can’t wait to see how it will combine with a long skirt or trousers. Ciao for now!